In an age of continuous recession, inexpensive consumer products and clever ways to save money are becoming increasingly popular. Everywhere you look you can find huge online stores selling ridiculously-priced products (AliExpress, eBay), low-coast airlines (easyJet, Pegasus), and mobile companies offering cheap packages; not to mention the many people who are turning to anti-consumerism alternatives such as second-hand shops and swap meets. One main place in which people are trying to save money is the supermarket. Even after we’ve cut on everything else, we still have to buy food – and why not try to cut expenses in that area, too? As a result, discount supermarket chains are on the rise; and one such chain is Lidl. Lidl, a European discount supermarket chain, originated in Germany in the 1930s; today it boasts 10,000 stores all over Europe. Lidl reached the UK in 1990s and has since expanded to include 600 stores. In 2014, Lidl wanted to strengthen its status in the UK and increase its market share, which was then 3.6 percent, in order to compete with the “Big Four”: Tesco, Sainsbury’s, Asda and Morrisons. Lidl realized that to do so, it needed to expand its customer base and turn to audiences that are not its natural target audience. Until then, its typical audience was based on people at the lower end of the socioeconomic spectrum, who could not afford doing their shopping in pricier supermarkets; and its main advertising tactic consisted of distributing promotional flyers announcing bargains and deals. Now Lidl needed to attract not only the bargain-hunters but also those shoppers looking for comfort and quality. But how do you approach the people who are accustomed to turning up their noses at you? Lidl knew that many people are surprised by the quality and value of its products when they encounter them for the first time – so it decided it would use that same element of surprise in its campaign. Lidl teamed up with TBWA London to create its aptly named campaign – #LidlSurprises. In September 2014, London foodies were invited to attend an exclusive farmers market in the hip East End. The market was advertised on Twitter and by popular food bloggers, and promotional flyers were handed to passers-by in the area, before and throughout the event. The many visitors who attended the market were given various food samples – from fresh fruit to cheeses and steaks – which they enjoyed greatly and praised enthusiastically. When they expressed their wish to purchase these products, they were surprised by the low prices. But a greater surprise was in store… the vendors pulled out Lidl paper bags to pack up their purchases! The above commercials, which were aired on television and spread across the web, got viewers intrigued. 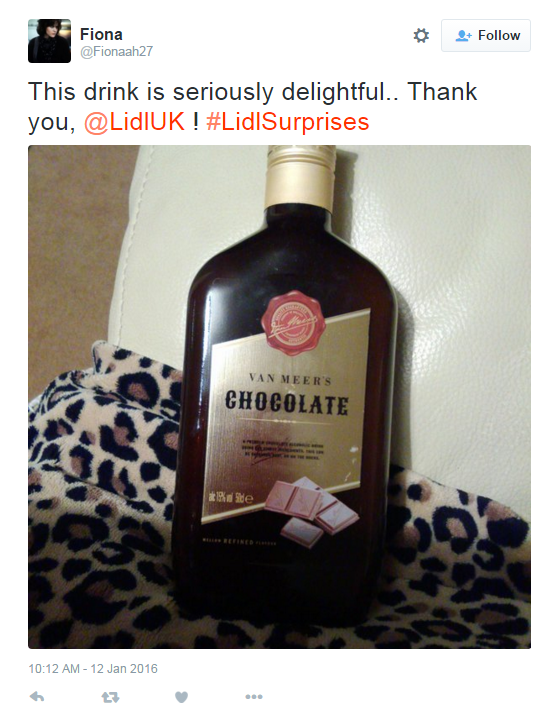 People started reacting to the campaign and using the hashtag #LidlSurprises in their posts on social media. Lidl used these posts to create billboard ads and posters which were hung in its stores. In addition, Lidl created a website dedicated to the #LidlSurprises campaign, where visitors could play a slot machine to win recipes based on Lidl products. The farmers market video had reached over 10 million views in the course of the campaign. 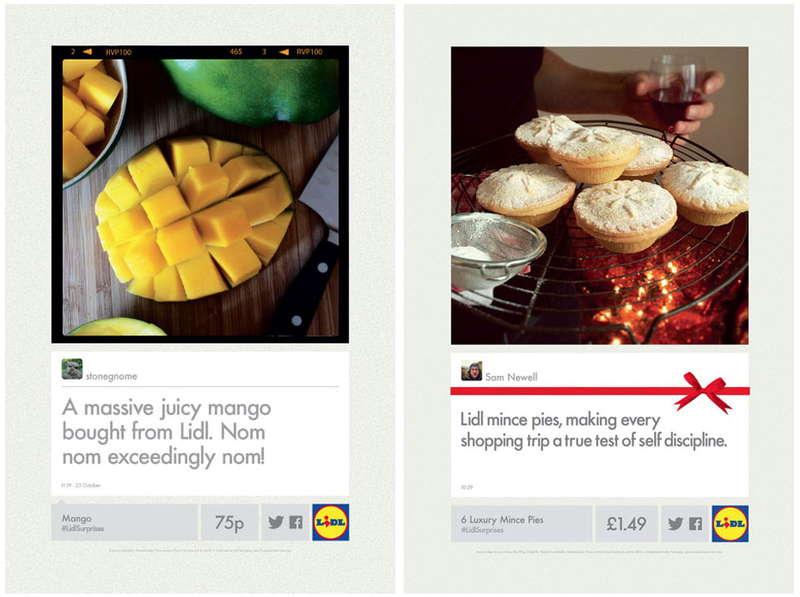 Within four weeks of launching the campaign, the number of Lidl’s Twitter followers had doubled. 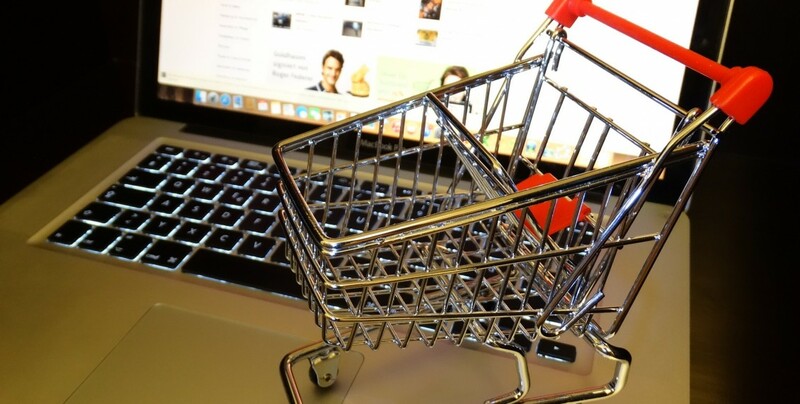 Generally, the buzz about Lidl across the web saw had increased by 40 percent. A survey conducted by American market research institute Millward Brown, found that among all the Christmas commercials that had aired on British television in 2014, Lidl’s commercial was the most persuasive. Respondents said that after watching the commercial, they were more likely to shop at Lidl. Lidl received a score of 3.27 (out of 5) for persuasion, beating the average score in these surveys – 2.98. 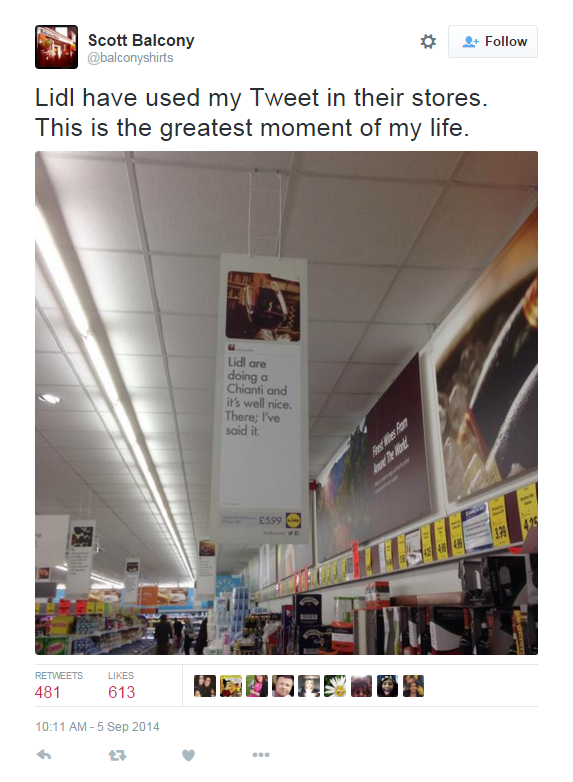 Indeed, in 2014 Lidl had its best Christmas ever, sales-wise. Authenticity – Lidl did not pretend to be something that it was not. It knew that most people perceived it as a discount chain, whose products are presumably of low quality; and that’s why it chose to challenge this same perception. The people in the commercials had not been told in advance that they would be tasting Lidl products, precisely because this type of prejudice was expected. Their surprise was the element that managed to change their perception of Lidl. The human factor – The #LidlSurprises campaign was thoroughly human. Lidl addressed that basic human tendency to feel happy when finding a good bargain – a high-quality product at an unexpectedly low cost. The campaigned had maintained a playful, friendly feel all along and focused on people and their reactions, both in the commercials and in social media. Lidl had used its customers’ authentic reactions as part of the campaign, and by doing so, achieved two goals: it provided its customers with a platform where they could express themselves (who wouldn’t want to see their tweet on a billboard? ); and it presented potential customers with recommendations from people just like them, instead of slogans created by a PR firm. Experiential marketing – Lidl’s commercials weren’t commercials in the true sense of the word: they showed real people in real situations, experiencing the products in an unbiased manner. This kind of marketing is very powerful as it can connect the customer to the product through an enjoyable, unique experience. A customer who has experienced the product in this way, will be more ready to form a positive opinion of the brand – and so will the person watching the experience and identifying with them. Consistency – Lidl had integrated its hashtag across all its marketing platforms: TV, social media, its own website, billboard ads and inside its stores. In all those places, the same message was being delivered in the same way: pleasantly surprised reactions of people who had tried Lidl’s products. Lidl’s direct, simple message echoed everywhere people looked – which made it near impossible to ignore. The #LidlSurprises campaign shows us that when we want to change a brand’s perception, we don’t necessarily need to go over the top. All we have to do is listen to what people are saying and craft our message accordingly. Nevertheless, the message should be based on true facts: the perception people had of Lidl could not have changed had its products not been of good quality. What do you think of Lidl’s campaign? Do you know any other campaigns which have used similar strategies to change their image? Feel free to comment!